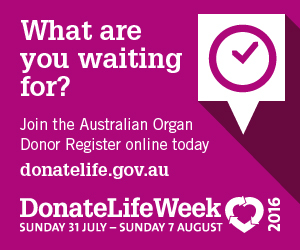 Home > News > DonateLife Week has arrived! Transplant Australia is thrilled to be supporting the 2016 DonateLife Week, which was launched at the Sydney International Regatta Centre, the same stunning venue which will host the Opening Ceremony of the Australian Transplant Games in September. 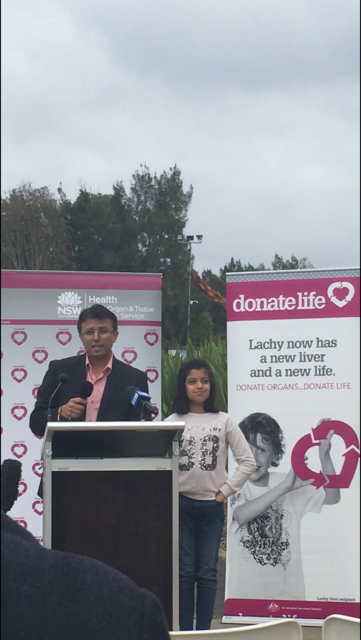 The NSW DonateLife event featured moving speeches and stories by people whose lives have been touched by organ and tissue donation. Western Sydney mum, Katelan Devine, and her 8-year-old daughter, Kyla, introduced themselves to the audience, as well as members of the press. Kyla’s life was saved by a liver transplant when she was a baby. Katelan said there were no words, to thank Kyla’s donor family for the precious gift of life they gave her little girl – before describing the way infant Kyla would smile for everyone – mum, dad, Poppy – even when she was sick. Now a glowing, healthy primary school student, Kyla spoke excitedly about attending her first Transplant Games in September. She already does gymnastics, dancing, drama and other sport. She wants to take part in soccer at the upcoming Games. Next, Rapesh Udani and his daughter, Naisha, spoke beautifully about Deyaan Udani. Deyaan, a 7-year-old whose generous wish to donate his organs saved four people, sparked a record-breaking event in Mumbai earlier this year. Rapesh and Mili Udani made the heartbreaking decision to donate Deyaan’s organs after their son suffered a brain haemorrhage while the family were holidaying in India. 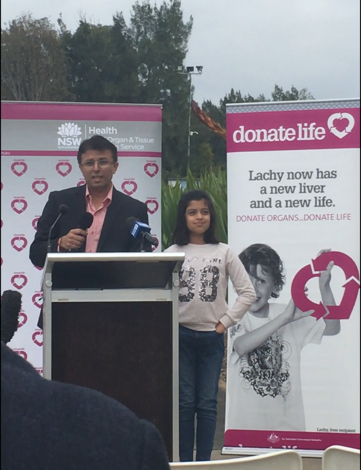 Deyaan’s sister, Naisha, told her brother’s story on Valentine’s day, inspiring 3000 people to sign up to become organ donors. 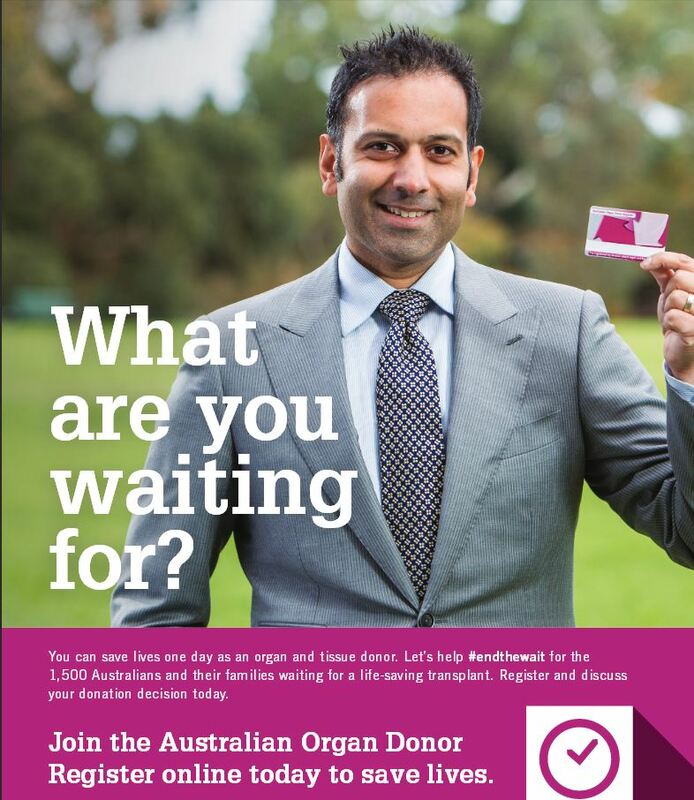 DonateLife Week, July 31 – August 8, is about encouraging more Aussies to join the Australian Organ Donor Register online. Registration is important – 91% of families agree to donation in cases where the deceased was a registered organ donor. Discussion is also vital: this drops to just 52% where the deceased was not registered and the family had no prior knowledge. Through these incredible and brave people sharing their experiences, it is hoped that families will talk about their decision to become organ donors.